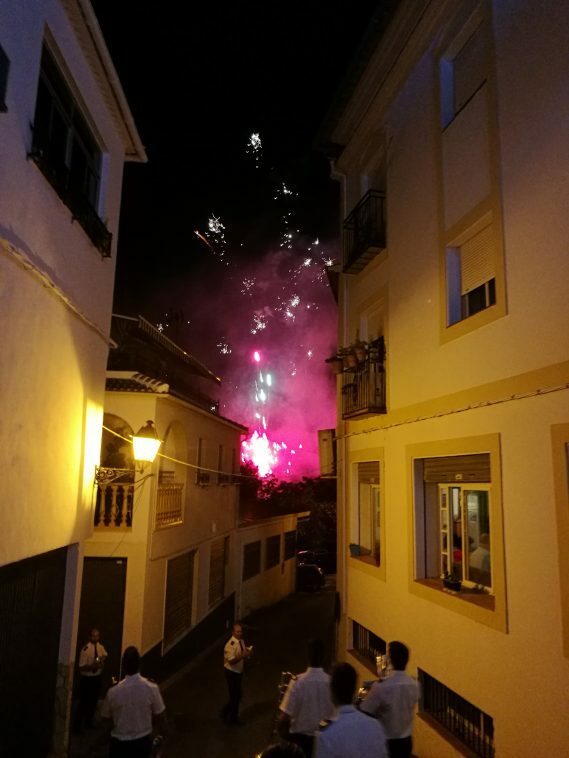 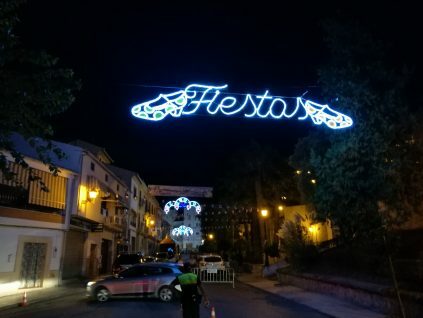 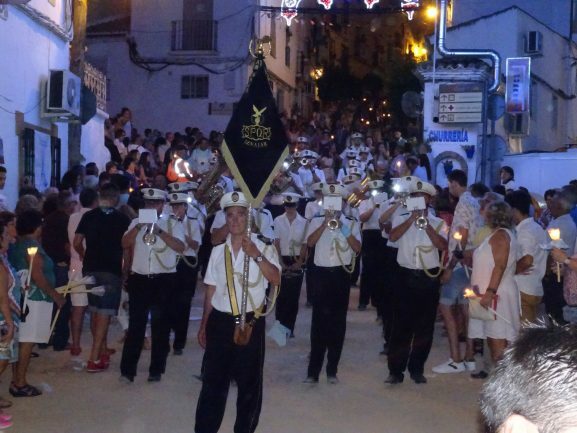 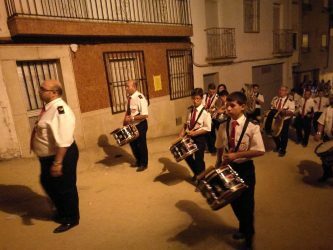 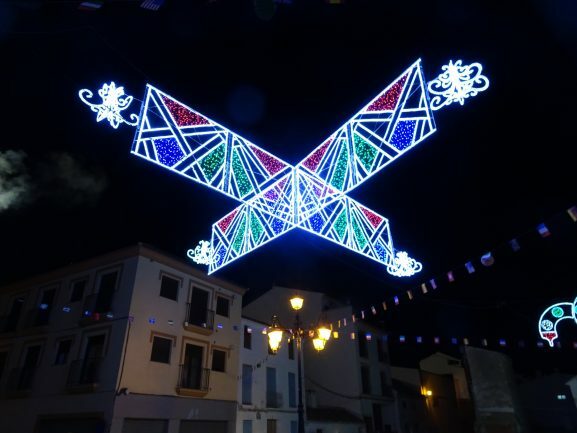 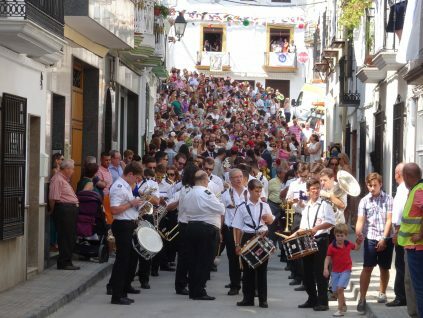 Every year at the start of September (2nd week) Iznajar celebrates the Fiesta’s Patronales. 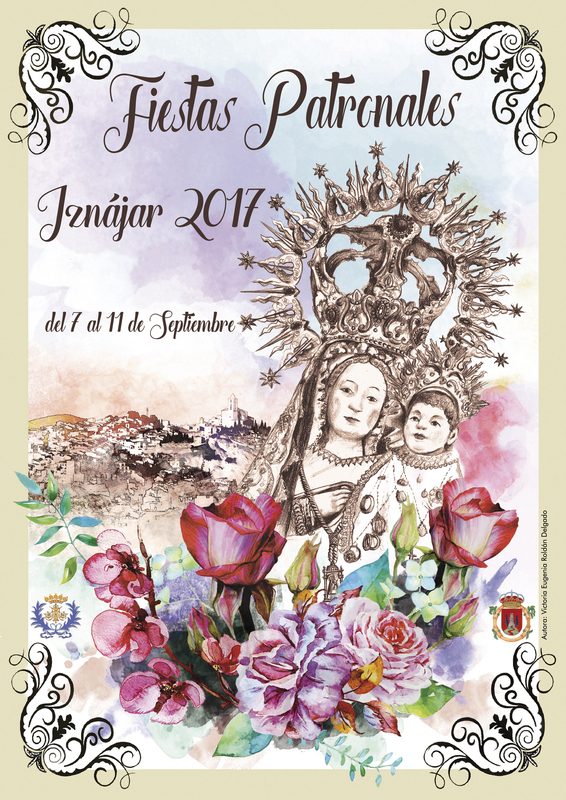 It is one of the biggest nights in Iznajars Calender. 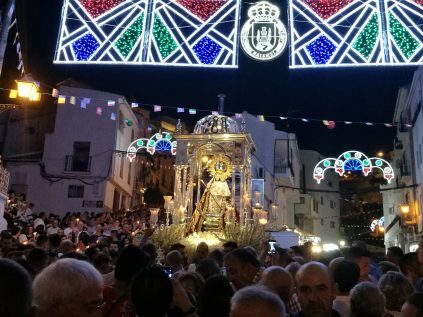 The whole town turns out, attracting hundreds from the surrounding area for a 4-day celebration. 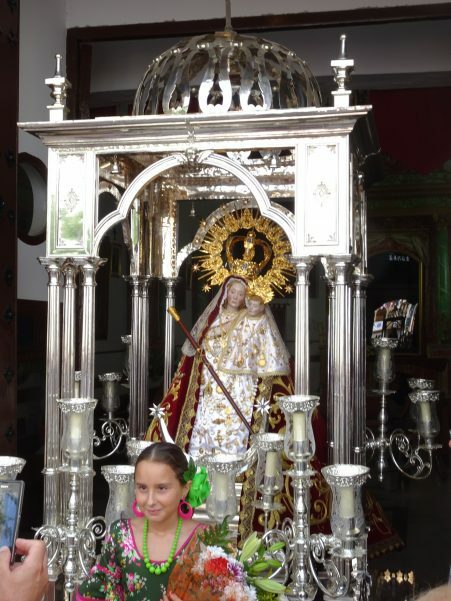 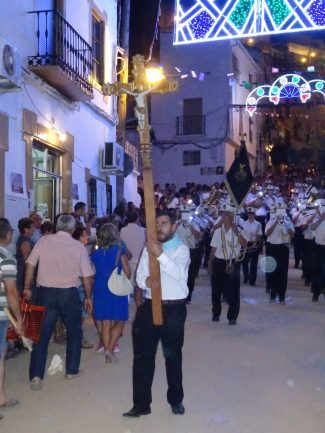 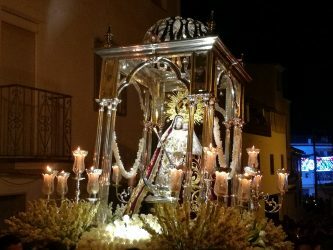 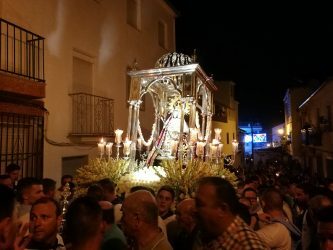 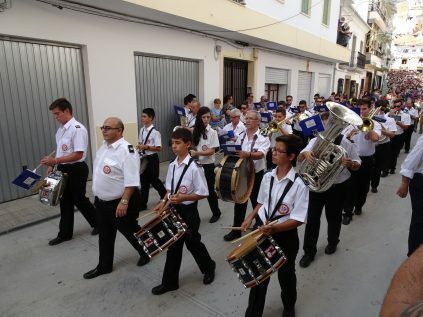 It is a religious based celebration, and most Spanish towns tend to have a Patron Saint day like this. 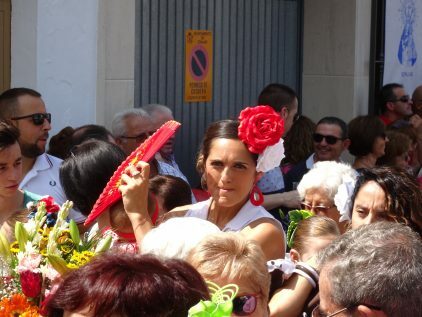 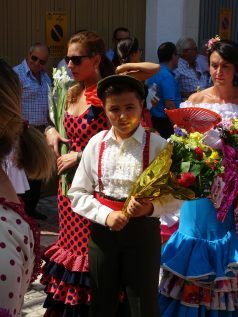 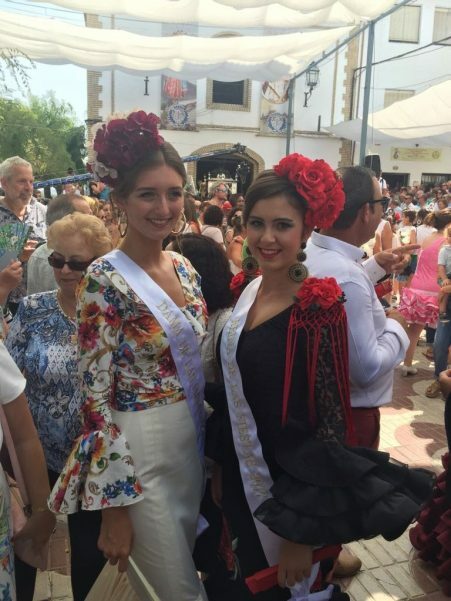 Friday about 1pm is the Flamenco Dress parade where people dressed up in traditional costume come to lay flowers at the statue of Mary in the church. 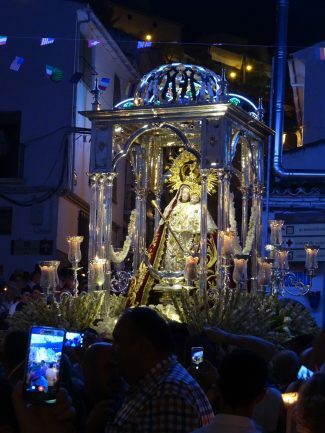 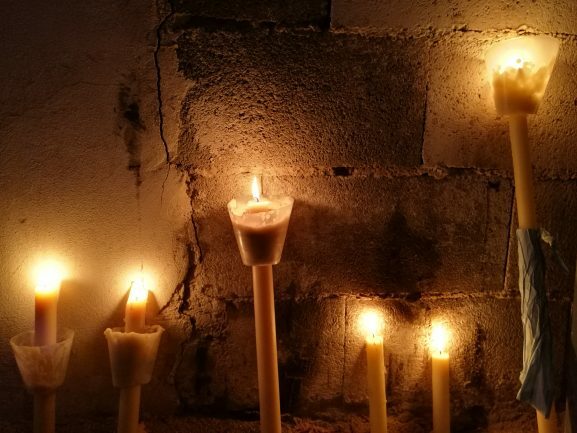 At night from about 8pm, Mary is carried (a privilege for those selected) through the streets of Iznajar where crowds carry illuminated candles. 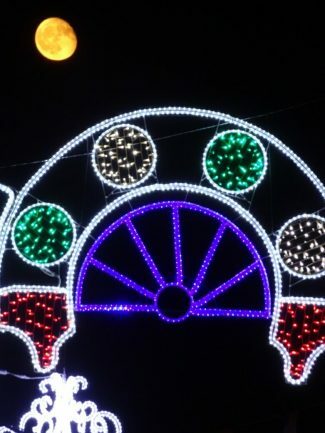 The streets of Iznajar is illuminated with colourful light, there are fair ground rides and attractions, and dancing until 5am on Friday, Saturday & Sunday nights. 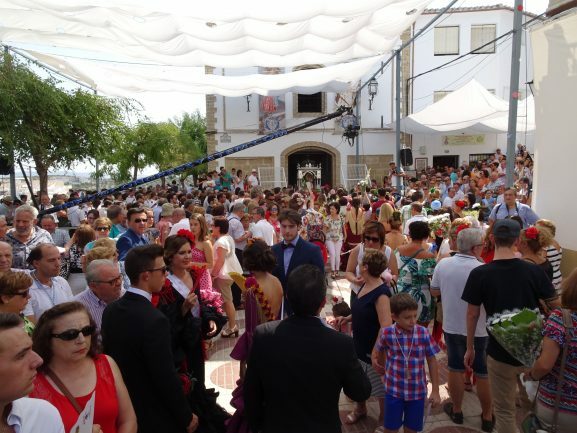 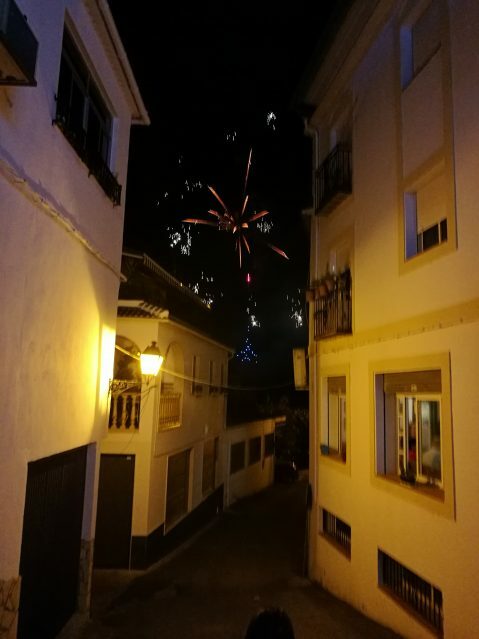 Here are a few snaps from this Fiesta, a must time to visit Iznajar. 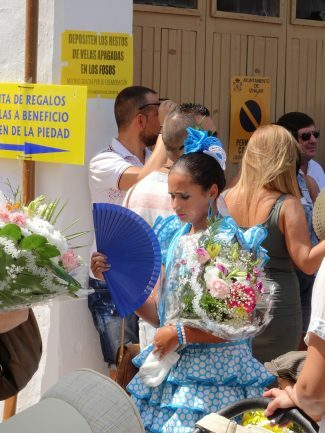 Explore Andalusia and discover the 800 year old Castille of Iznajar by renting your very own villa situated perfectly between Granada. 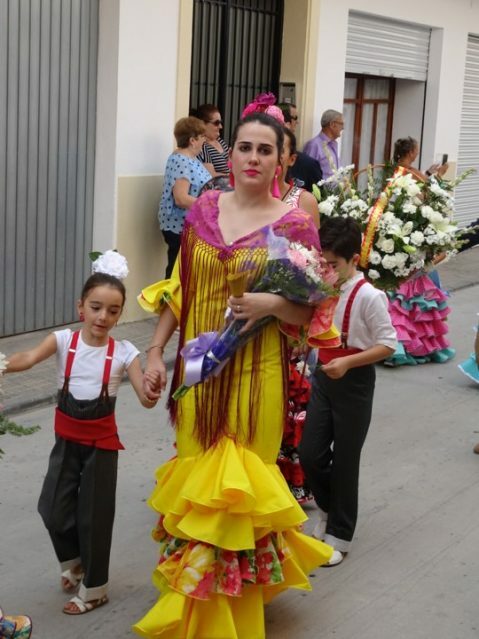 Malaga & Seville. 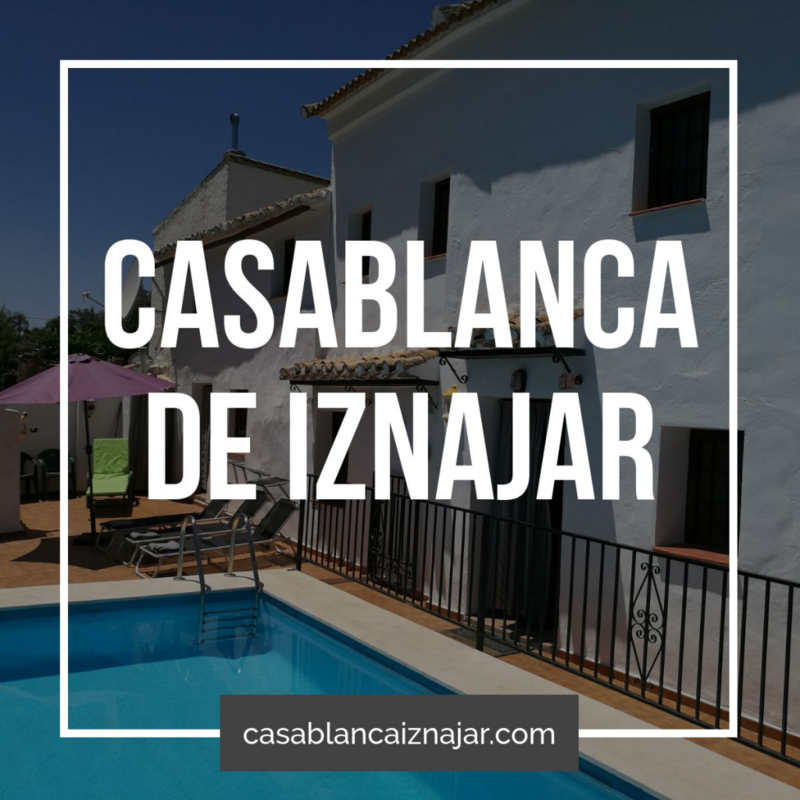 Casablanca De Iznajar with private pool, large garden, airconditioned bedrooms and sweeping views over the olive fields and hills is the perfect place to relax and explore the surrounding area. 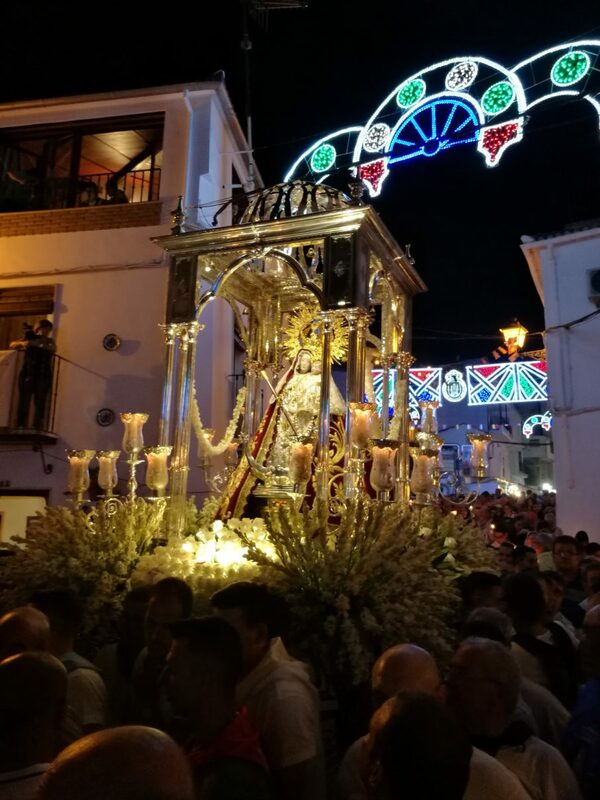 For more details, galleries, videos and bookings click on the banner below. 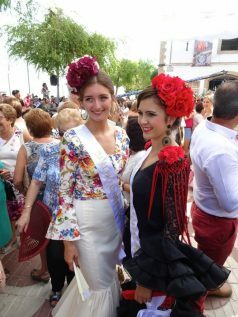 Book CasaBlanca De Iznajar Now!